Web designing services | Website development or maintenance | Call now! web designing services and development services or custom applications using existing and emerging technologies that work well with any software portfolio to meet specific business requirements. Trace software has been developing Web Applications with interface that is faster and more responsive than traditional applications. Our experienced developers have developed several interactive and efficient Web applications to help businesses like yours to improve productivity, utilize advanced communications systems and provide high level of services to customers. 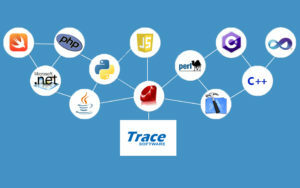 Trace Software has worked on following RIA based technologies ms is a leader in Web application development. Specialists across our global delivery network work with you to provide the skills you need, when you need them, for streamlining, managing and maximizing all systems and web applications.